Welcome to another Travel Tuesday here at ACR and I look forward to reading all your posts of wanderlust and travel in our link up today. I have a special post for you which has been written by one of my sponsors this month and someone I feel blessed to call my friend. One of the most amazing things about blogging is finding someone who may live on the other side of the world, but who is your kindred spirit. Elizabeth is that person to me and today is taking over my blog to whisk you all away to where she is living the expat life in Thailand. 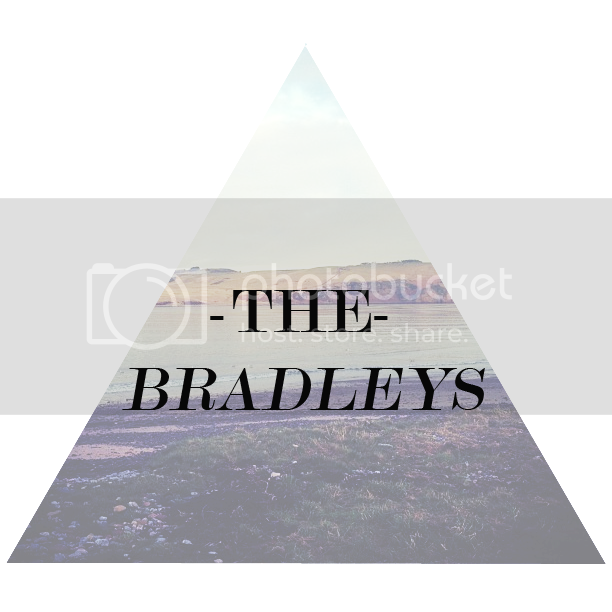 Feel like seeing more beautiful photographs of her life there then head over to her blog The Bradleys! I am so thrilled to be able to write today on Bonnie’s inspirational site. You see, I am one of those fellow ‘third culture kids’ turned third culture Mums, as well as a British American. Bonnie and I have a lot in common, including the fact that we are both photo geeks and grew up in Asia and Europe. It is confusing (very) and can frequently lead to odd conversations with people ( ugh). My family and I currently live in the Southern Thailand, on the beautiful island of Phuket. I started our family blog The Bradleys to share our daily life as a family that values spending time together above anything else; we especially love holistic living/parenting as well as travel. Despite being a ‘third culture kid’ I had never heard of this term before I discovered Bonnie’s blog and TCK series. For 30 years I have struggled with my cultural identity, expressing who I am and where I am from to people. It sounds odd at first but when you think of how many countries across the world are filled with immigrants, in reality this is quite common. In fact here in Phuket, the local population isn’t 100 percent Thai but a mixture of Hokkian (Chinese) and Thai, which is called baba. I found this fascinating as I was ignorant on Thai heritage until I first visited Phuket Town and saw all of the Taosist temples and realized that there was a heavy Chinese cultural influence. Our little 5 year old daughter Kaya is a fellow TCK and global citizen. When she was born, we decided we want to raise her outside of the US (living in LA for 8 years had taken a toll on us) and closer to where I grew up in France. My husband however, felt hesitant to move there and instead decided to take a job teaching ESL in Korea. The experience was interesting but my husband ended up coming home from work late in the evening, with more work to do before bed. It was exhausting. We ended up moving back and forth for several years until we came back to Phuket a few months ago. We’ve lived here for two years in total, with a 4 month stint in Scotland. Our intention was to settle down there permanently but due to changes in the spousal visa, we were forced to leave until the politics get sorted. Phuket is a lovely place to live. Safe, excellent food, and permanent good weather ( well we do get a lot of rain too…), it’s been a lovely place to be based. This week is the vegetarian festival where the whole island adopts a vegan diet and street vendors sell vegetarian delights such as coconut icecream! The Thai culture is very respectful of foreigners and our daughter has several close friends that she plays with. She is also picking up Thai, which is fantastic. And yet, we are craving settling somewhere permanently, and we’re not sure Phuket is the right fit. With having family in the US, UK, and Canada, we’d like to be somewhere closer for them to come visit and vice versa. There aren’t many homeschooling families on the island, nor is there a close knit community for expats per se. The majority of foreigners living here year round are in their 50s and up. Travel is an important form of education and we feel from the last 4 years of traversing the globe our family has experienced things we never would have if we had let our dreams get diminished. We had many set backs along the road to finding home, so to speak, and even though we haven’t found where we want to call home, we have picked up pieces of ourselves where ever we have visited. The world is filled with beautiful people looking to express themselves and find fullfillment. We share flaws and goals. We are more similar than different. *images original to The Bradleys blog. Please get in contact if wanting to use anything from their site. Hi Eizabeth I think it’s so interesting you live in Thailand now, especially as you are raising a family. I’m intrigued to know more over at your blog! What a lovely spotlight on Elizabeth! 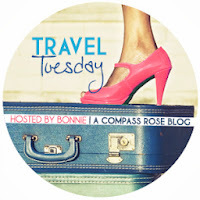 I love how she believes that travel is a form of education–amen to that Thanks for hosting Travel Tuesdays, Bonnie. I love Phuket! It was one of my favorite vacation destinations. The food and massages are really delicious and it’s so near to the dreamy beaches of Phi Phi islands! How beautiful! Thailand is definitely mile-high on our list and it looks like we may be planning a trip there relatively soon I love how much you value travel! So interesting! I am also a TCK and from one TCK to another, thanks for sharing your story! Great post and introduction to Elizabeth’s blog! I am heading over there now to get my international fix. Kaya is such a lucky child and her parents are really cool. I wished I started experiencing the world at her age.